The diesel engine on offer will be the same 1.5-litre unit that is present on the Marazzo, but we expect it to be detuned for use on the S201. Mahindra’s upcoming sub-4 metre SUV, codenamed S201, has been pictured undergoing testing on public roads multiple times. Mahindra’s managing director Dr Pawan Goenka has now confirmed to us that it will be launched in India in the first quarter of 2019. The S201 will be available with both petrol and diesel engines. It is expected to debut a new petrol engine for Mahindra that will be paired with a manual transmission. The S201 is expected to have a certain premium quotient to it and going ahead, other products from Mahindra are also expected to follow along similar lines. 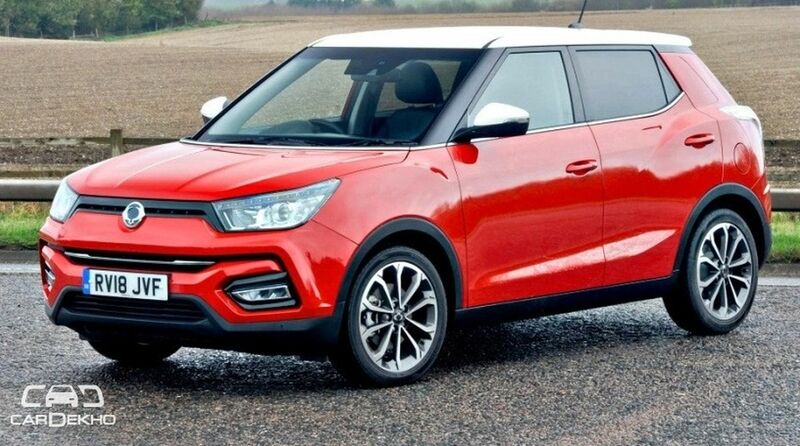 We had reported earlier that the S201 will borrow its interiors from the Ssangyong Tivoli and that just reiterates the fact that the S201 will be a premium product. Features like a 7-inch touchscreen infotainment system are expected to be carried over from the Ssangyong Tivoli. We also expect Mahindra to offer a dual zone climate control system on the S201, which will be a segment-first. It will also get disc brakes on all four wheels, a feature that is only offered on the Maruti Suzuki Baleno RS and S-Cross in that segment. A test mule of the sub-compact SUV was also captured with a sunroof, hinting that the production version might get the same. Mahindra also plans to introduce an EV based on the S201 which is expected to come to India by mid-2019. More details on that here. With the S201, Mahindra plans to take on popular choices in the segment like the Maruti Suzuki Vitara Brezza, Tata Nexon and Ford Ecosport.